John was raised in Northeast Baltimore on Hope Street. He and his family lived in a 3-story brownstone row house, where he became seriously interested in becoming a stuntman. The worker, busy filling in the hole, told Hagner to go away and that he had work to do. Hagner pleaded with him and told him again he wanted to jump out of the window. Evidently, the worker didn’t hear him, and John, noticing the sand pile had been reduced to about 4 feet high darted back up stairs and opened the window, stood up on the window sill, waited for the worker to take a shovel-full of sand from the pile. Then, he jumped! Hagner’s mother, sitting on the window sill of the 2nd story with her back facing the street below, washing the outside of the windows, screamed “Good Lord, he jumped;” hesitant to turn around to see the results of her son’s antics! John’s professional career began in 1960 in California where he was an instructor at the first Trampoline Center in that area. It was owned by John’s longtime friend, Glenn Sundby, who was the Editor/Publisher of the Modern Gymnast Magazine, a publication that was dedicated to gymnasts the world over. John also was artist for that magazine. It was at the Tramp Center one day in 1960 that John received a phone call from 20th Century Fox Studios in West Los Angeles. They needed a stuntman who could do a high fall. John arrived at 20th Century Fox Studio the next day and was taken to the lower mote, where there was an outdoor South Sea Island setting and the sailing ship ‘The Tiki.’ John met the director, who told him he would be performing a high fall for the star of the television series, “Adventures In Paradise.” A short while later, he went over to one of the sound stages with was a cliff setting where John would do the high fall. This particular stunt required a set up of cardboard boxes and mattresses (nowadays stunt people use air bags). John told a couple of the prop men to set up the boxes and mattresses for a safe landing. The mattresses were actually called “Talmadge Pads,” named after its inventor, Richard Talmadge, one of the greatest stuntmen of all time. The fall was a one-take stunt that Gardner McKay was pleased to film. Later that day, John was asked to play a pirate character in the same episode, which he did. The name of the episode was “Hangman’s Island.” Hagner was paid $400 for his day’s work (not bad back in those days). The stunt represented a height of 35 ft. (Hagner estimated $10 a foot) and $50 for the walk-on shot. John continued doubling for Gardner McKay for the last year and a half of the series, and during that time, he also worked several other shows at 20th Century Fox, including the feature “Voyage to the Bottom of the Sea”, doubling for its star Walter Pidgeon. Then, the “Batman” series started and John worked stunts in several episodes (playing one of the henchman for The Joker (Cesar Romero) and Mr. Freeze (George Sanders). Hagner worked for all of the major studios including, Warner Bros. where he performed stunts in “The Great Race,” starring Tony Curtis, Natalie Wood, Peter Falk and Jack Lemon. John played one of the bakers in the bake shop sequences that took four days and nights to complete but lasted just six minutes on screen. They threw 3,500 fruit filled pies (a Guinness Book record for how many pies thrown in one movie), even outdoing all the old Charlie Chaplin, Laurel and Hardy and Three Stooges movies combined. At Warners, John stunted in a television series called, “Hank” and did gymnastics and acrobatics in scenes filmed in the studios’ own gym. He doubled for Gregory Peck in “Captain Newman, M.D.” for Universal Studios in 1963. The stunt he performed was an 80-foot ladder climb near the end of the movie. At Columbia Studios in Hollywood, Hagner worked in a western called, “The Wild Westerners”, in which he was one of twenty stuntmen in a knock-down and dragged-out saloon brawl. John Hagner was founder of the Hollywood Stuntmen’s Hall of Fame, which began in 1973 in Southern California. Then, he received the opportunity to relocate it to Moab, Utah, where it was open to the public for nearly eight years until they had to vacate the building. The Hall of Fame is presently without a home and is in storage. John was an accomplished musician, playing a full set of drums and as a singer in a band called, “The Happy Notes” in Moab. Hagner was also an accomplished artist and author. 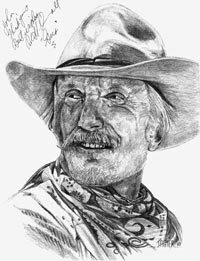 As “Artist of the Stars,” he completed portrait drawings and paintings of several hundred personalities, from Alan Alda to Efrim Zimbalist, Jr., including 54 different portraits of John Wayne (two of which are in full color). Then Governor of California Ronald Reagan signed a composite portrait that John drew and sent John a congratulatory letter. John wrote the Stunts, Stars & Legends column in Moab Happenings for nearly 10 years until February 2018. You can read his entertaining articles online in the Moab Happenings archive at www.moabhappenings.com/articlearchive. 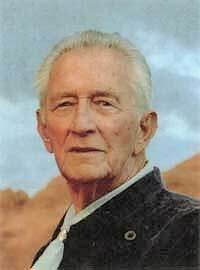 Read more: Moab Times-Independent - John G Hagner 1927~2018”.